I’ll have to leave it to more experienced heads than mine to say whether the time travel logic of this finale was internally consistent, because I’m sure I don’t know. I can tell you that as someone who’s seen everything the anime has on offer but not played the VN, the overall impression I got was that they were pretty much making stuff up as they went along here. Maybe all this makes sense within the mythology, but even if it does it still felt pretty much cobbled together for plot convenience. And if that was the case, I don’t even think consistency matters all that much. 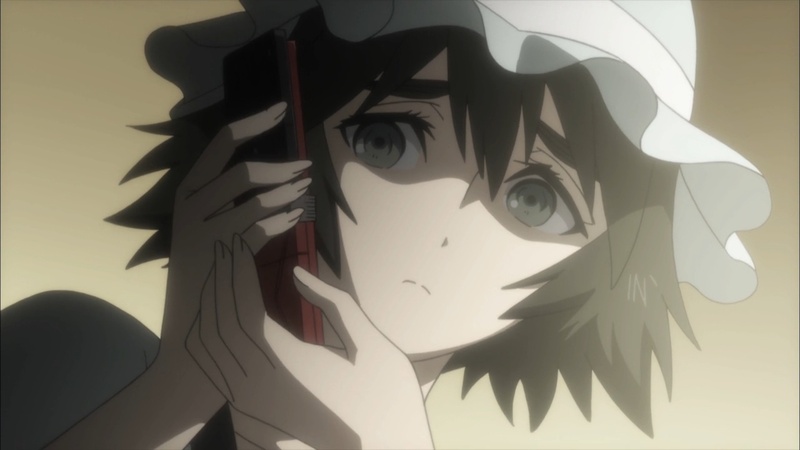 Rather than try and pick apart that aspect of Steins;Gate 0 (again, I’ll let the anoraks handle that) I think it’s more interesting to discuss the impact of the series as a whole. And fundamentally, I think the question facing this show is the same one facing the sequel to any beloved original series – is there any compelling reason for it to exist? Apart, that is, from making money? Right now, if there is I can’t find it. 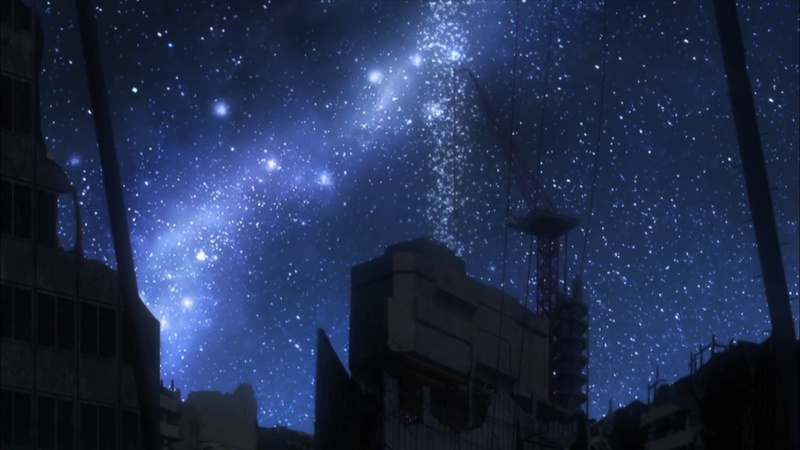 That’s not to say there aren’t aspects specific to Steins;Gate 0 that I really enjoyed, but is the overall anime mythology better off for it having been produced? Or would it have been better served (as FLCL certainly would have) by leaving a masterpiece standing basically untarnished as the lasting memory of the franchise? What was good? Well, Maho certainly. I enjoyed her character a lot – she brought quite a different sensibility than any other cast members in the franchise. 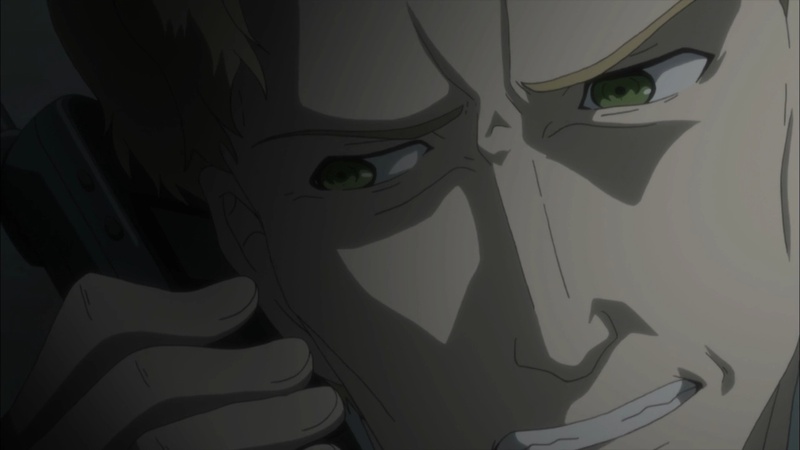 I liked what she brought with her, too – Professor Leskinen (I knew he was going evil sooner or later, but he was still a lot of fun) and Amadeus. The latter added a sort of pathos that was quite different than the raw, acute agony of what Okabe was going through in the first series. This was more of a dull ache, a persistent melancholy – a constant reminder of the choice he’d made and was forced to live with. 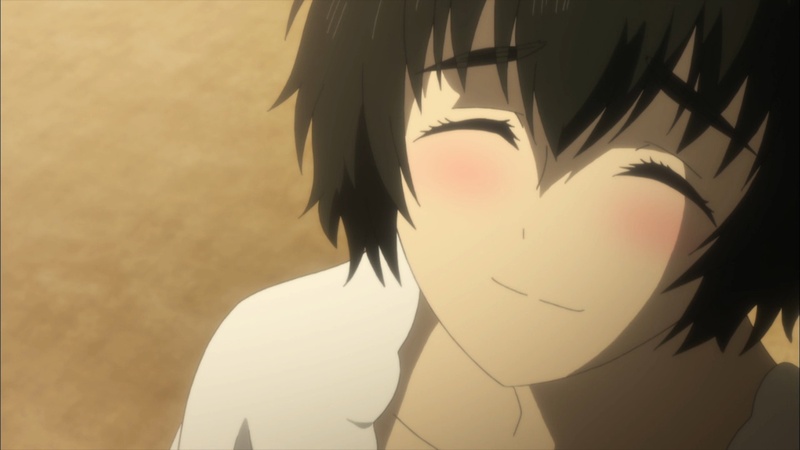 Indeed, that was easily the best stretch of Steins;Gate 0 for me – seeing Okarin trying to transition into a more normal life, only to be forced to confront the most painful elements of his old one because of Amadeus. 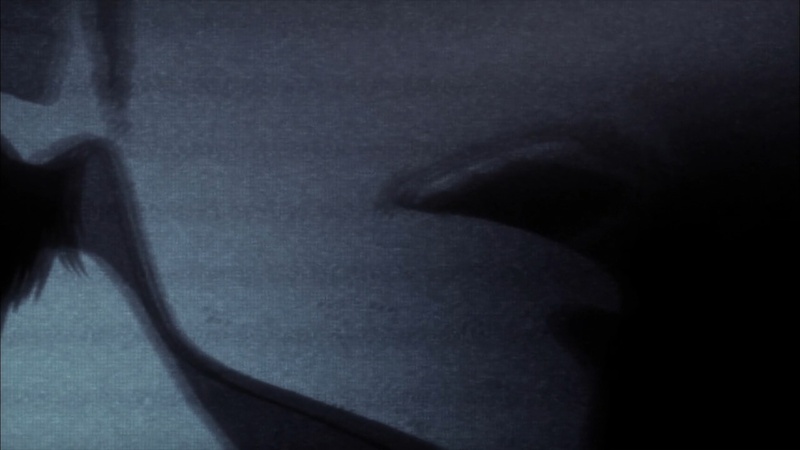 The first cour of “o” was certainly the better, especially the first eight episodes or so. But that’s when things went pretty seriously off the rails in my opinion, only partially recovering in the final handful of episodes. 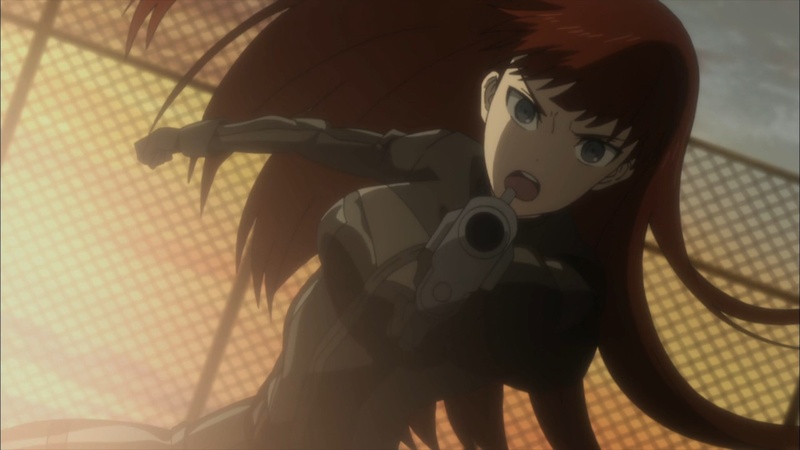 The focus on Kagari’s arc certainly didn’t help – it was pretty much the worst part of either series. But the problems for Steins;Gate 0 ran deeper than that. As for what happened in the finale itself, if we’re going to look on the upside it did manage to construct something more like a real ending than I was expecting it to be able to. The downside to that was that it the pacing was pretty rushed in order to make that happen, which really makes me wish some of the rather extraneous fluff in the middle third of the show had been cut and the events of this ep had taken place over two weeks instead of one. There was a certain irony to the arrival of two time machines simultaneously – it really felt like a metaphor for how much had to be crammed into this episode s as to get to a logical stopping point. It’s fitting, though, that this show should have ended on Episode 23 – and it was really more the ones in the middle that were the problem, as they tied the hands of the series in terms of what it could do at the end. Unfortunately the lasting impression I’m left with is just how much better the original series was than the sequel. It isn’t simply that the events it depicted were more compelling, though they certainly were. It’s also that it managed to feel like a self-contained narrative rather than something cobbled together from multiple VN threads, in a way the sequel couldn’t match. 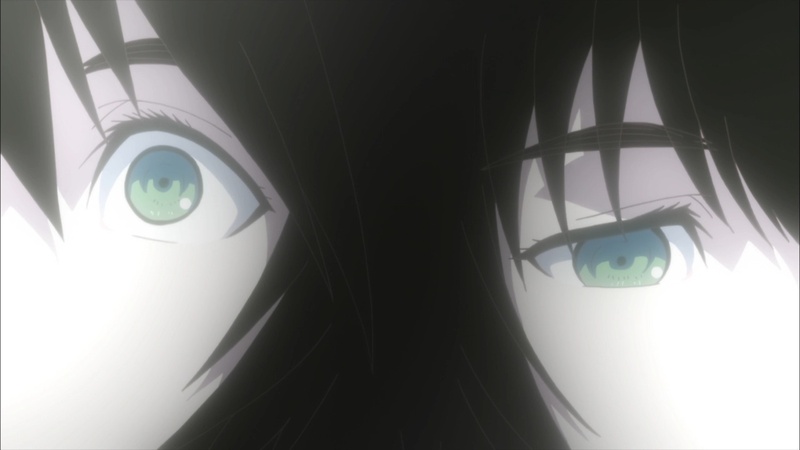 I’m sure there will be more Steins;Gate to come in some form or another – this franchise is simply too valuable to too many companies to believe otherwise. 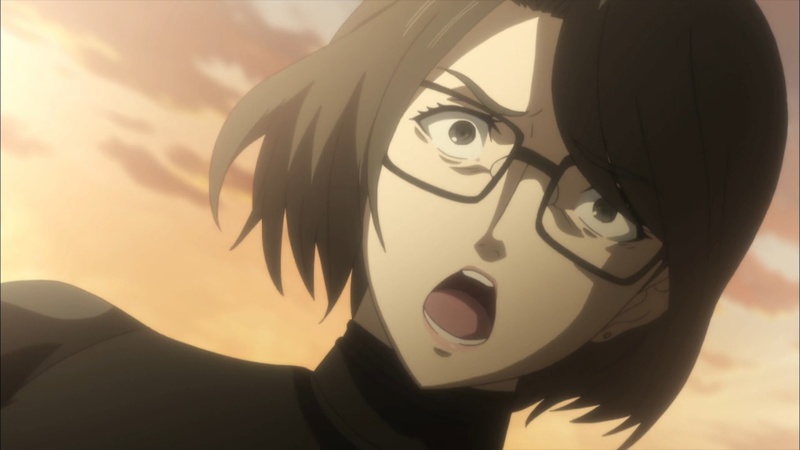 Whether that will constitute more OVAs (above and beyond the Steins;Gate 0 one we know is coming in December) or something else – maybe another movie – who knows. Maybe “0″ would have worked better as an multi-part OVA in fact, rather than a full series – stripped down to its essentials and adding a layer to the original mythology without trying to establish a complete alternative timeline. 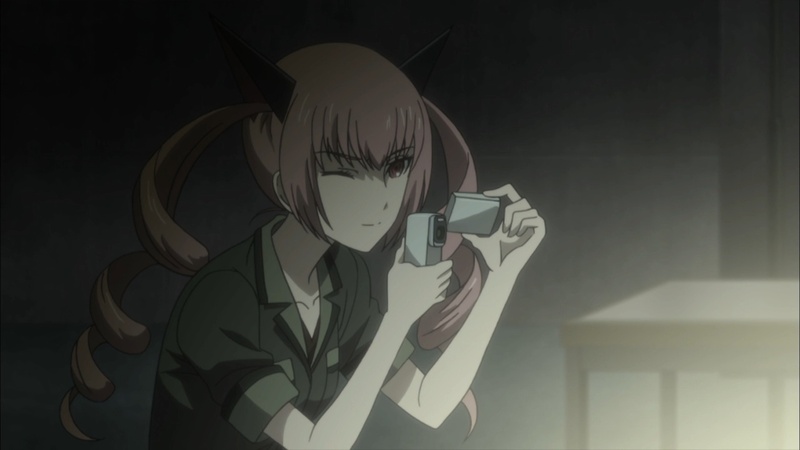 Maybe it didn’t meet the threshold of justifying its existence, but it had it’s moments – and it was certainly a reminder to me of just how much I loved the original Steins;Gate. El Psy Congroo. The obvious continuation to this would be Steins Gate episodes 24 and 25. YES. 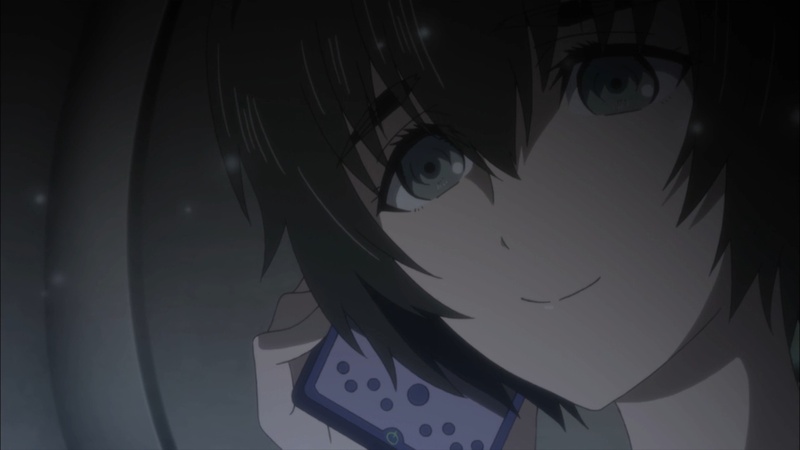 Rewatch episode 23 of the original S;G (and imagine you haven’t watched S;G 0) – doesn’t the d-mail from 0kabe to 2010 Okabe feel like it was a “get out of jail free”-card? It certainly did to me back when it aired, like since it was the end, Okabe had to win somehow, and the solution was given to him easy-peasy (relatively speaking). 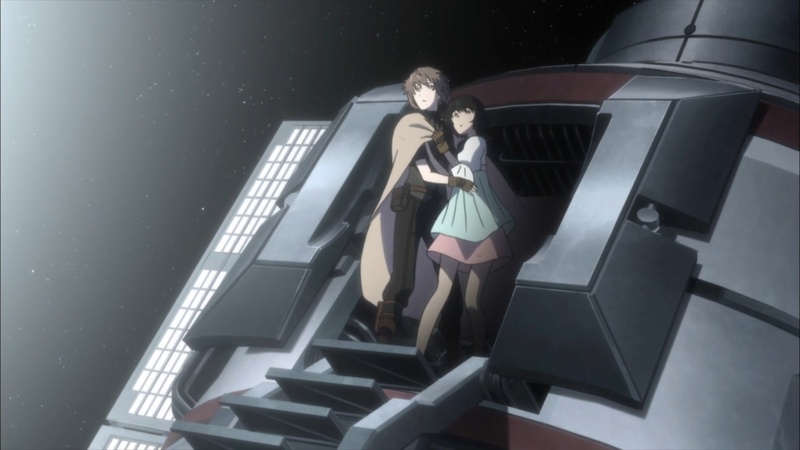 Steins;Gate Zero showed us that 0kabe – the Messenger (and we the viewers), had to live in a worldline full of misery to be able to enable Okabe to reach Steins;Gate. It showed us the journey. 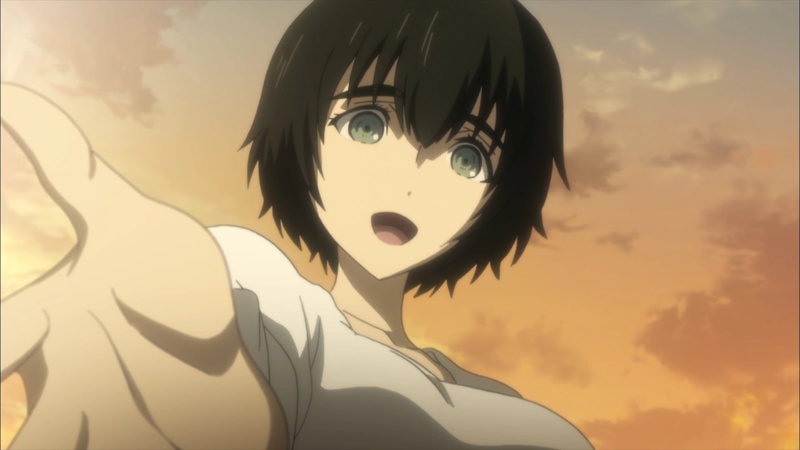 Knowing how 0kabe figured out the way to deceive oneself and the world enriches the entire Steins;Gate experience and gives it rewatch value. At, least that’s how it felt for me. EL. PSY. KONGROO. No, the video D-Mail was one mans regret about not being able to save someone he loves. There’s quite a classic time travel story in Star Trek Voyager, in the episode Timeless. One of the characters feels responsible for dooming his crew and spends decades working on a way to change history. 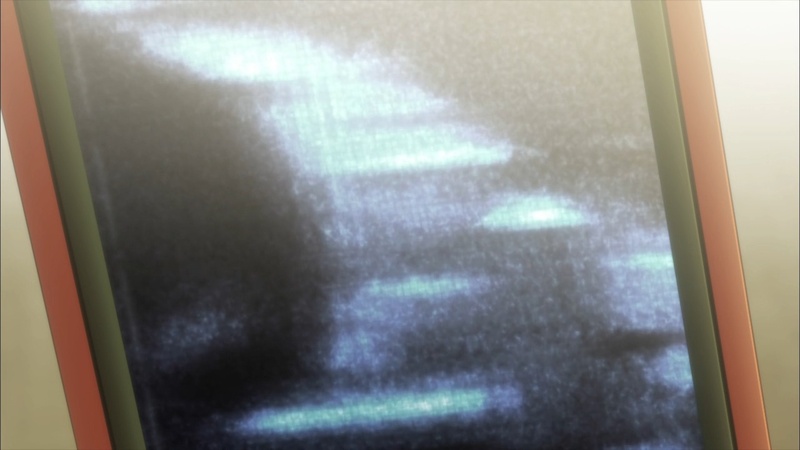 He eventually does change history with a temporal transponder to send a message back to himself, containing the right calculations to drop the ship out of slipstream. Included in the message was a video to himself explaining everything. The character was not only grateful that things went well enough(Though disappointed that the slipstream didn’t work) he thought how could he send that message to himself if that future never came to be. That’s a different perspective though. Look, I don’t give damn about other sci-fi works, I’m discussing the worth of the S;G 0 anime to its watchers (especially Guardian Enzo who DOESN’T GET IT). 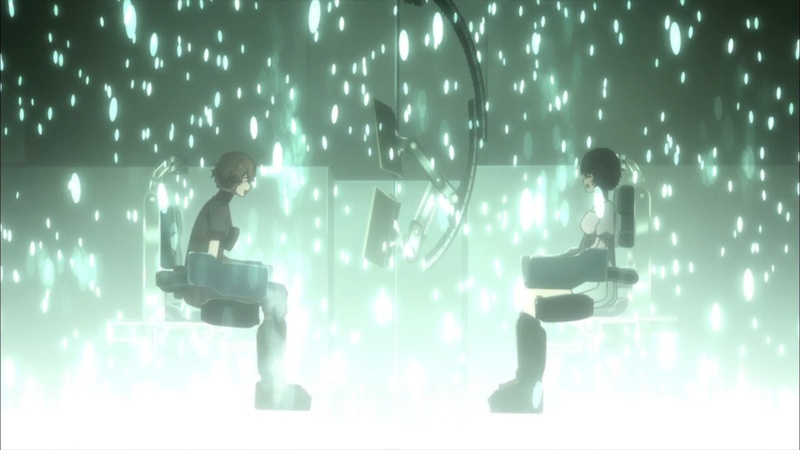 The main point here is, without knowing the entire journey of how 0kabe (with the help of the other labmems) figured out the way to open Steins;Gate by suffering in the Beta worldlines, the d-mail scene in the original episode 23 of the S;G anime felt like a deus ex machina (of course the series was ending, so they had to win somehow, right?). Don’t get me wrong, it WAS a good scene, but I can imagine that it left the viewers asking “what did 15-yrs-in-the-future”-0kabe had to go through to be able to figure out the solution? 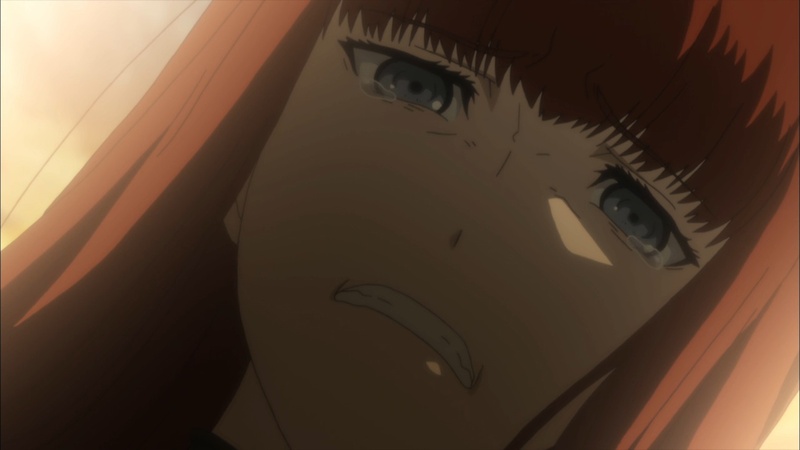 Now that S;G 0 episode 23 has aired, we saw it. We have that answer. We have closure. The circle is complete. Ah ok. 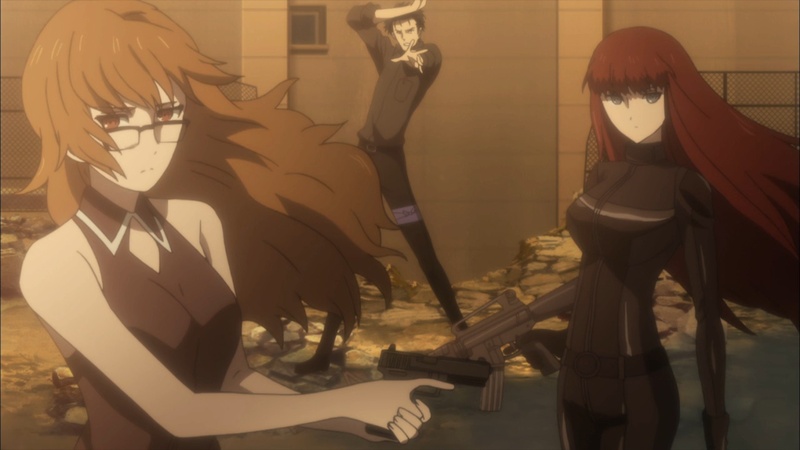 When I first watched Steins;Gate it never felt like a deus ex machina twist because of the whole time theme of the series. 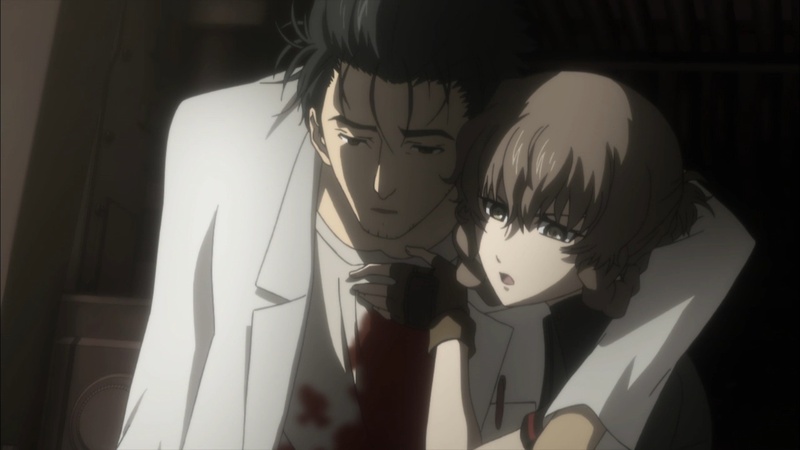 The video D-Mail revealed the existence of another timeline where Okabe didn’t get his happy ending, and when Okabe saved Kurisu, Suzuha kinda just poofed out of existence because the new timeline overwrote the old one. 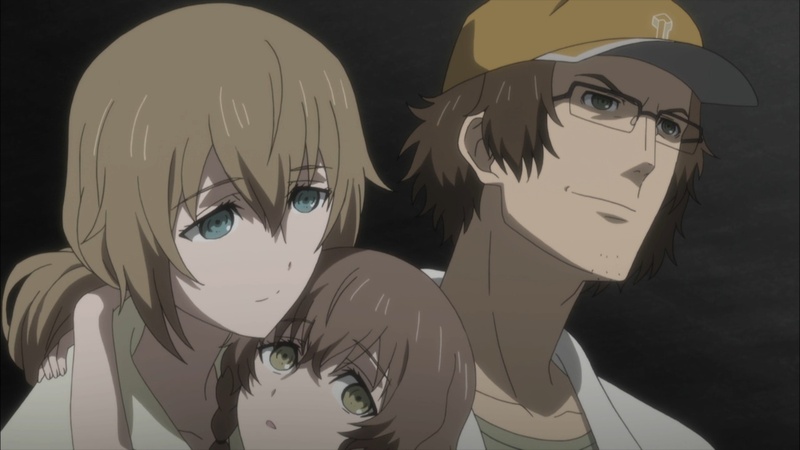 I always did find it interesting because Suzuha during the first season came from this future. 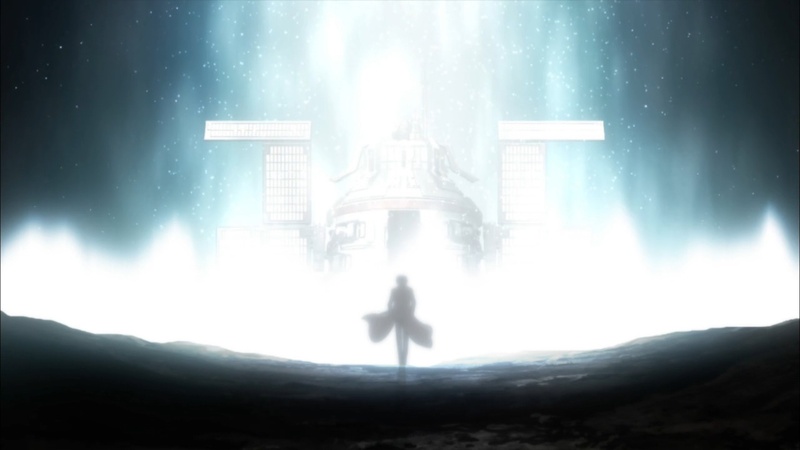 No matter what happened, if Okabe didn’t save Kurisu, the world would have turned out the way it did in SG;0. Oh and I thought that was a great example of another time paradox in fictional works. Though if you don’t get it, I completely understand. You’d just have to watch the episode or something. Lyfe, you’re talking to Steiner. This dude is the embodiment of western S;G fandom. I was speaking more about the example I gave, if he hasn’t seen the episode it probably won’t mean a great deal. As for who he is, I have absolutely no idea, I didn’t feel it relevant when responding to him. But if he’s a Steins;Gate superfan, thanks for informing. 23 eps of mediocre mess are worth it to add a bit of depth to a single story element in the last part of the original series? You’re having a laugh. 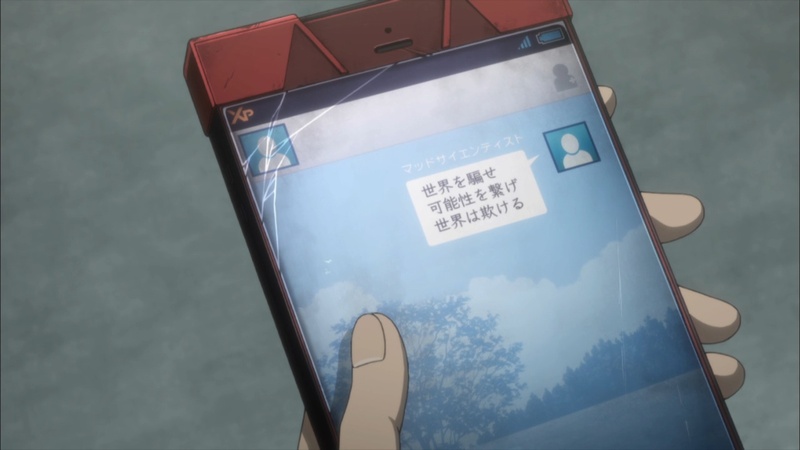 Year 2025 when Okabe sends the MMS message or video message, we see a big Kagari in the scene. How? She is supposed to be born in 2026 according to the Wiki, and in 2036 when she travels with Suzuha she is 10 years old. 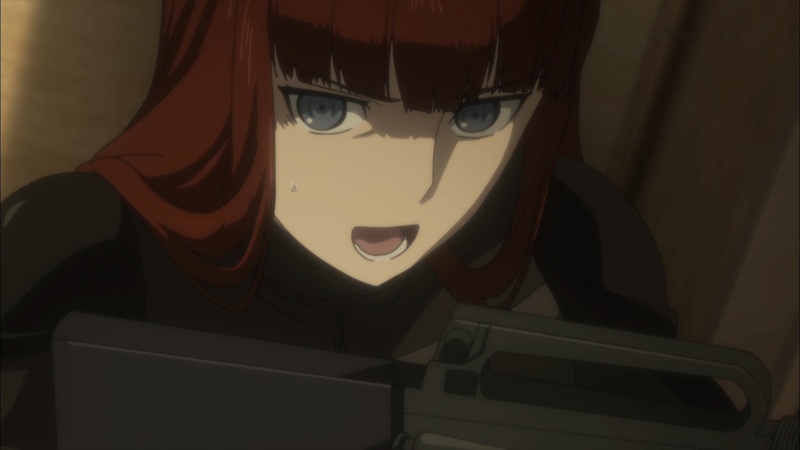 Why is there an older Kagari One could say that its the same one from when Mayushii slapped Okabe on the roof, but then where is Mayushii that slapped Okabe? 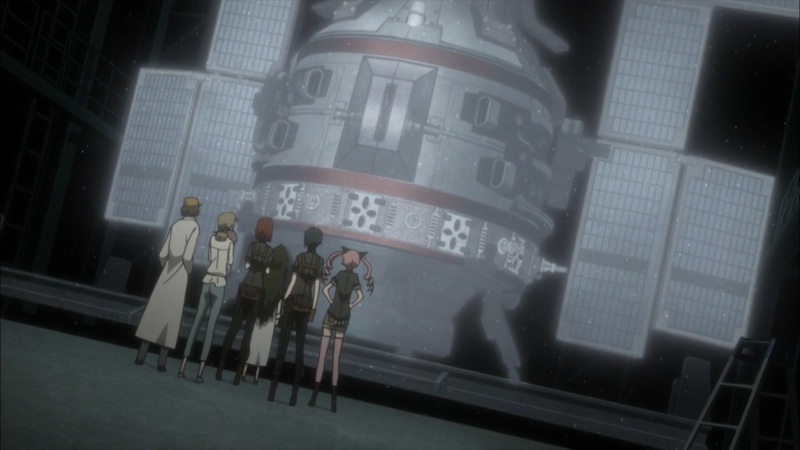 If that is the case there will be two Kagaris in the same timeline and one Mayushii who is gone (see screen shots in the review with Kagari with short hair). So Kagari small is yet to be born and adopted by an inexistant Mayushii. 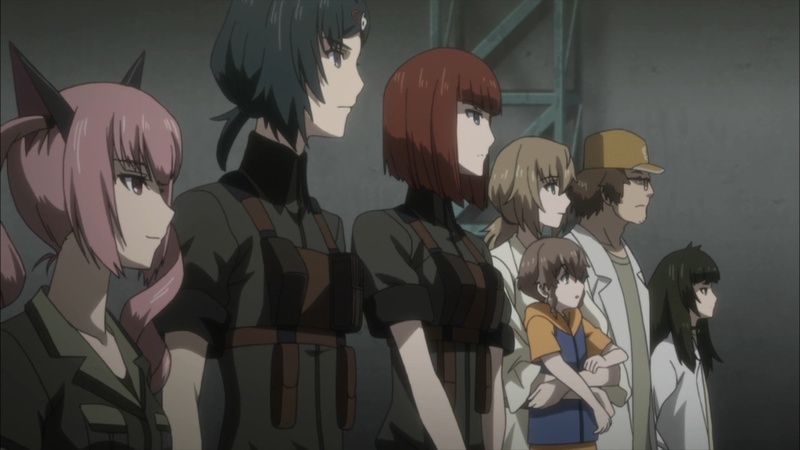 And If two Kagaris can exist in the same timeline, why do 2 Suzuhas and 2 Mayuris create a paradox in the two time machine scene, as explained by Suzuha if I remeber correctly). Sadly as the frist series managed to tie in all the plots and create a perfect time travel series, Stines Gate 0 managed to create paradoxes, at least as how I understood the series. 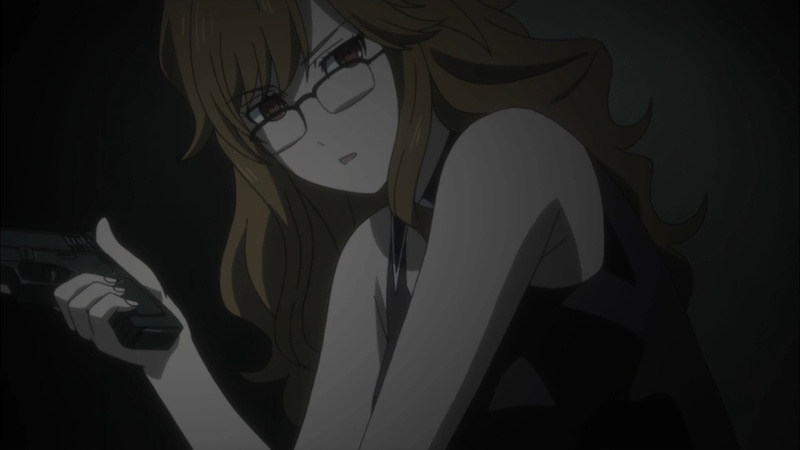 By it being the same Kagari who returned with Suzuha in time machine, as she wasn’t killed this time around. That’s all there is to it. They don’t. 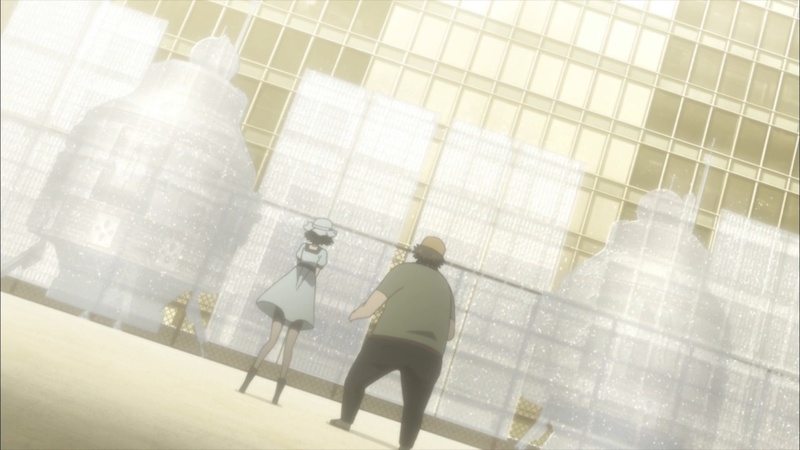 Suzuha just wanted to avoid a potential paradox (which most likely can’t even happen in the setting) and therefore left before the other time machine returned. Well look at you Daru. Looking good. Man, I’m still left with a lot of head scratchers. Time paradoxes to be exact. But in the end, I’m glad everyone got their happy ending regardless of how much sense it makes. I’ve gotta rewatch the entire series now, and also, as someone on Crunchy recommended, episode 12 of the original series. El. Psy. Congroo. 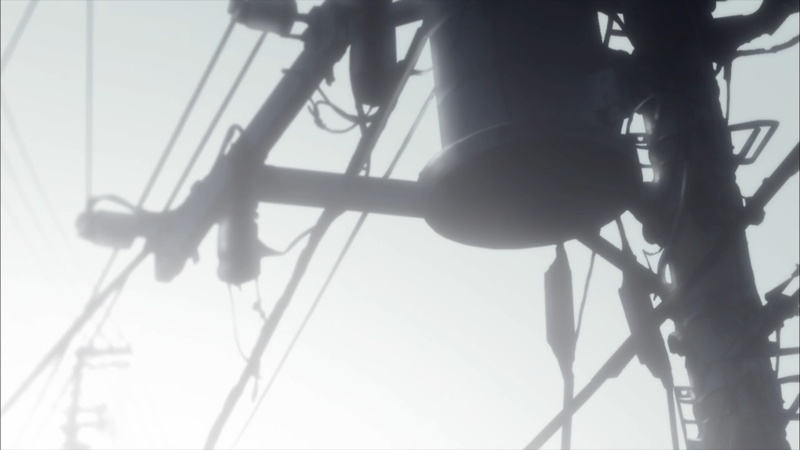 If 5pb can produce a sequel to Robotics;Notes, which had a pretty closed ending, I would say the odds are good that they can do something more with the Steins;Gate franchise. This, after seeing the hot garbage that was episode 9 I stopped watching, Im glad I did too. 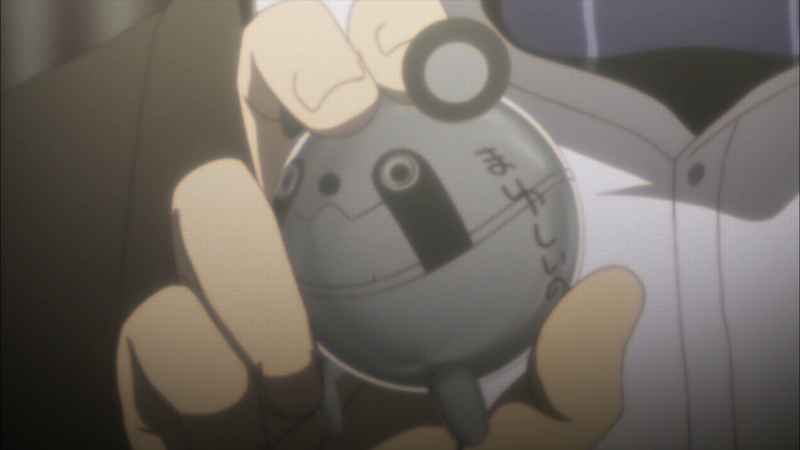 It was episode 12 for me, at that point i just thought to myself “i don’t see how this can end with Rintaro sending the message back in time…, i guess i’ll just let it play out and binge later” and guess what, I’m not binging it since theres clearly no payoff with the ending we all wanted and expected. Got to agree, I don’t think this really added anything to the original. For me the new things it added was seeing what a “normal” Moeka is like and getting introduced to Suzuha’s mum. Besides that it added new characters with more unsolved mysteries. I was actually hoping that they actually explained how video Okabe got there. In a way, they did. But it was by jumping around it while skipping on the essentials. Still no explanation on how he got the ideas, including the time machine. Maho probably had a hand, but Amadeus certainly didn’t. Funny how the epilogue had something to do with that passing scene from prehistory. 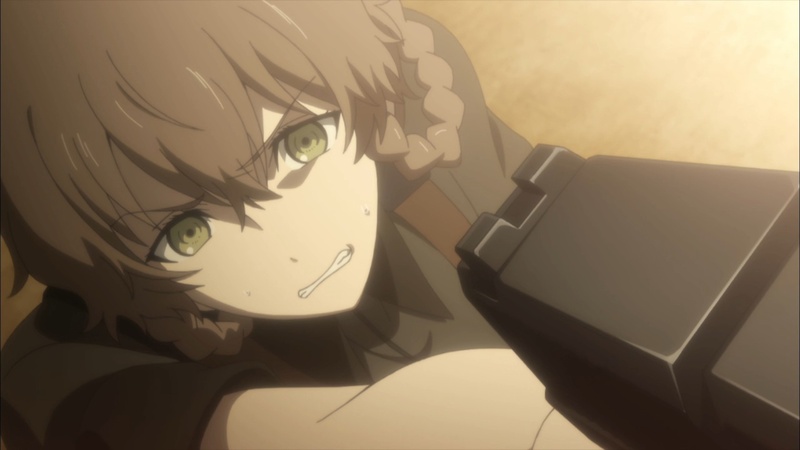 But if all the people that got “killed” of by the time machine went there, shouldn’t there be another Suzuha arriving soon? Would’ve loved to see that since she tried to avoid a time paradox. Still a somewhat enjoyable show. Sadly, can’t say I can recommend this like the original Steins;Gate. 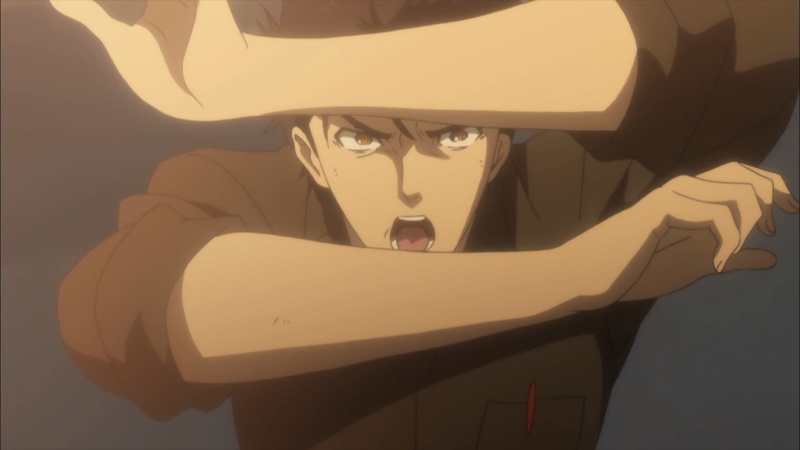 For me, I really liked seeing Okabe trying to figure out how to live as a normie. Go to college, get into graduate school, wrestle with his guilt over what had happened. Maybe that wasn’t super dramatic but it was interesting and totally different from anything we got in the original series. After that, once the Kagari arc started and plot overdrive from a tangled mess of VN routes kicked in… It just didn’t really work. Love Maho and Leskinen, but their role was reduced quite a bit in the second cour too. The main problem this series faced in comparison to the original is that it had to adapt a very branching VN in one go. The original VN was pretty linear with a few branch off points that led to certain endings. 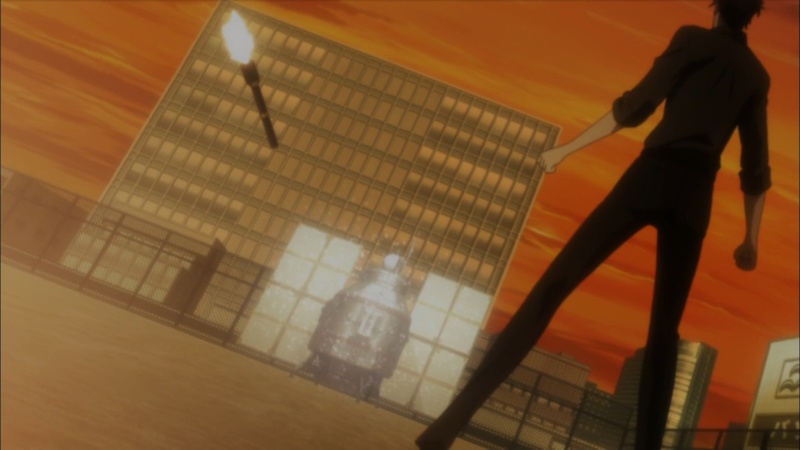 This one had branching off very early on, then more branching and more and so on, all to reach Steins;Gate. That is the main flaw of this anime, because each branched path feeds and reveals things that are going on, yet this had to put them all into one path. I myself don’t mind the adaptation with that in mind. 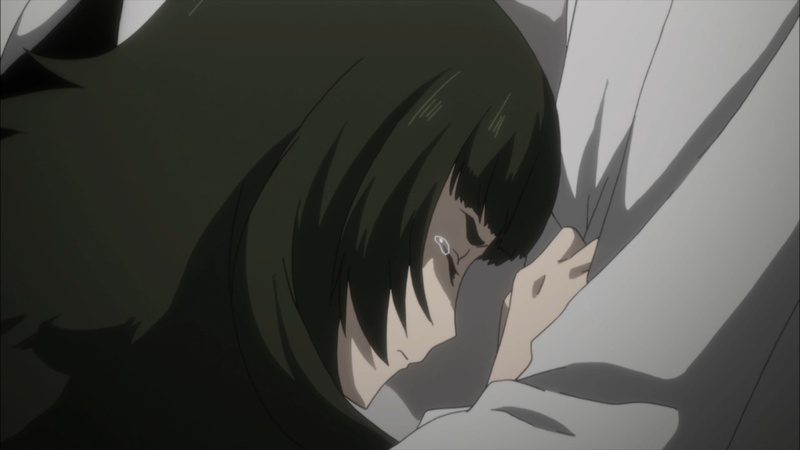 The producer spent 23 episodes on addressing the fact that Okabe is depressed with loosing Krisu for the sake of Mayushi. That’s a lot of time dedicated to a broken heart, Where does the story leave us now? 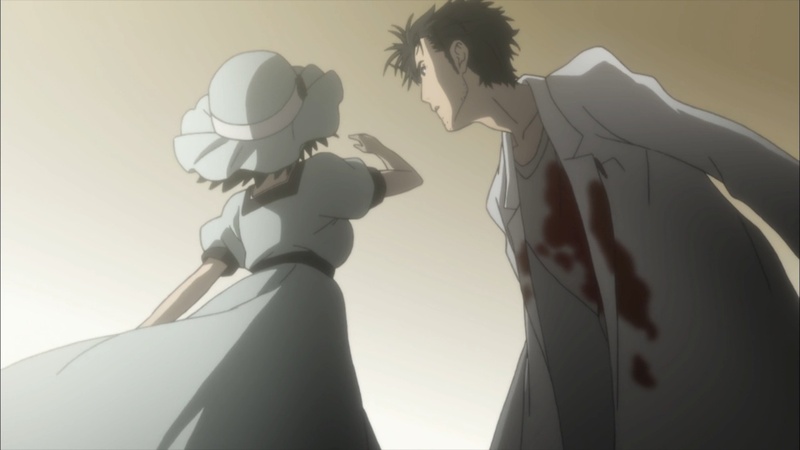 Okabe from the feature telling his past to get ready to save Krisu then recovering Mayushi and Suzuha. Yet another cliff hanger for an ending.